We are a friendly,down to earth couple that will care for your pests lovingly and enjoy meeting new people and exploring new places. We feel that pet /house sitting would give us the opportunity to meet people in a more intimate way, get to know the community life of a place better than staying in hotels and booking tours. We are good with languages and are interested in nature, history and how people live in every place we have visited in the past. We are good at solving everyday household problems. I bring gardening skills and my husband has great house building/fixing skills. We have had dogs in our home for many years chickens , cats , cared for horses and friend's pets on many occasions, always enjoying the bonds created with the pets and their owners. Ana has been responsible for our gardens at our weekend home for a number of years. she has a key to our house and we have nicknamed her "Saint Ana"
Ana and her husband Bob are lovely, caring, careful and responsible people. They are completely trustworthy and beyond that, skilled in all the practicalities of home ownership, so in case of emergency - or wilted houseplants - they know just what to do. 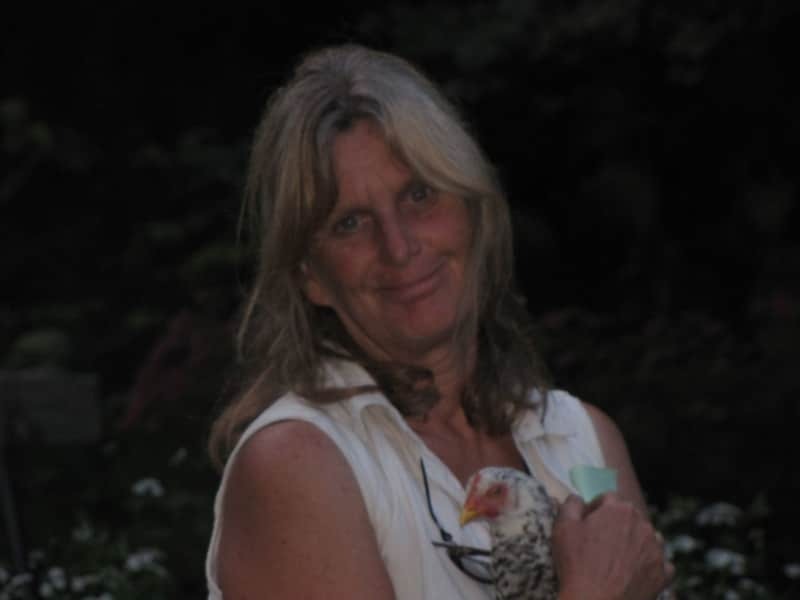 Ana has been a reliable house sitter for many years; They love animals and dote on their own cats, ducks and chickens and I call on them often to take care of my pets - who love them like family. Ana Hajduk with her employees of Singing Brook Gardens have been working for me for the last 5 years. The level of quality of her work is evident in the fact that my pond was photographed and featured in House Beautiful Magazine December 2013. I certainly participated in the design, and the pond designer had major contributions, but without Ana's vision the final result would not have been nearly so successful. Ana's employees are personable, professional and consistent. Ana's conscientious insistence that most of what she plants is native and sustainable separates her from the typical garden designer. I trust her completely.